There’s nothing more refreshing on hot summer days than lemonade. Of course you could just go to the store and buy some lemonade or cans of concentrate, but homemade lemonade is sooo much better!! Plus its free from conservatives and you can use as much sugar as you want. 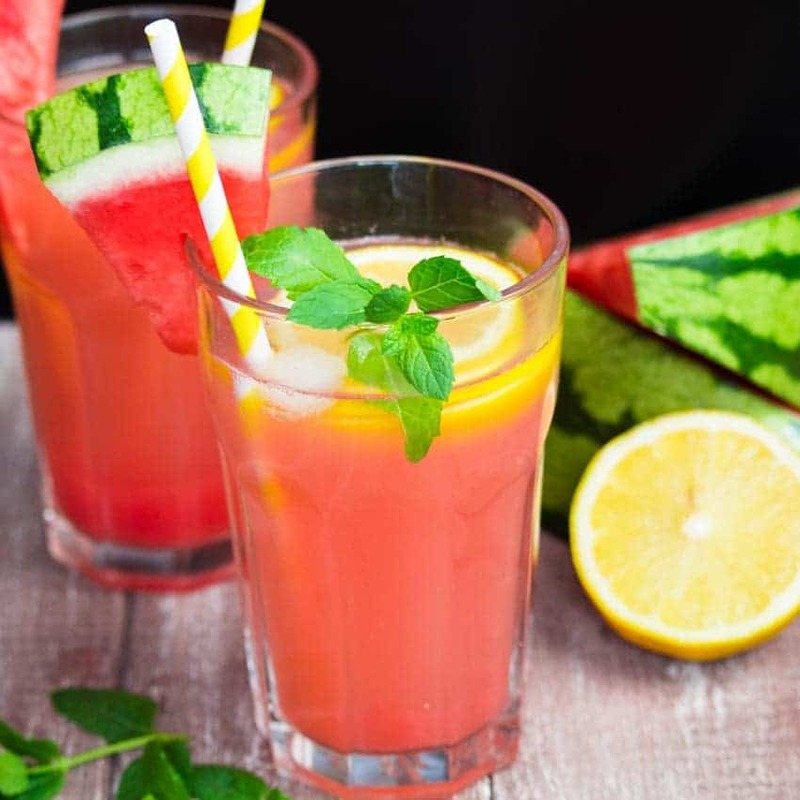 Today we had this super refreshing pink watermelon lemonade, which is ready in just a couple of minutes. All you need is a small watermelon, two lemons, one lime, water, and agave. I’ve thought for years that making lemonade is quite complicated and not worth the effort. I couldn’t have been more wrong! When I made strawberry & rhubarb lemonade a couple of weeks ago (this was actually my first time making lemonade!! ), I boiled the fruits with water and sugar, but this time I just used a blender. All you have to do is cut the watermelon in large chunks, put it into a food processor or blender and process until smooth. Then strain it through a sieve and mix it with water, lemon and lime juice, agave, and lots of ice. 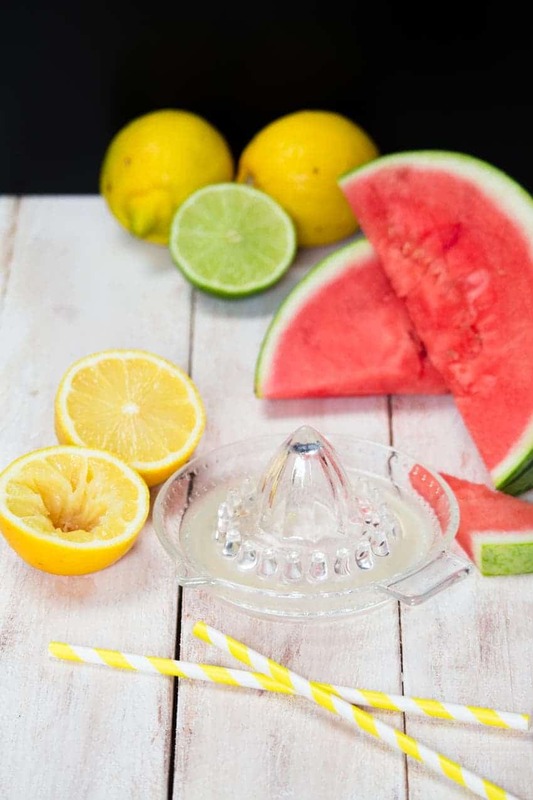 As you can see in the pictures, I used an old-fashioned juicer to make this watermelon mint lemonade, but if you have an electric juicer you can even save some more time. 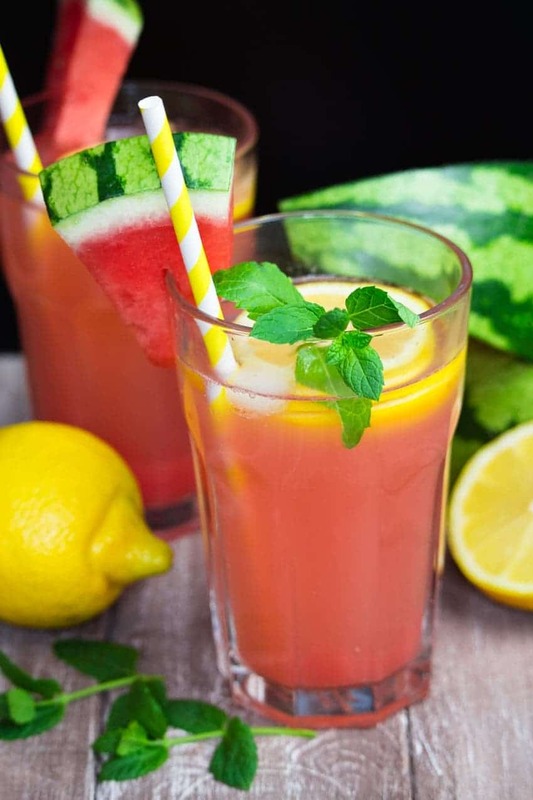 I hope you like this healthy pink watermelon lemonade as much as we do around here. Do you like making lemonade from scratch? And what’s your favorite flavor? 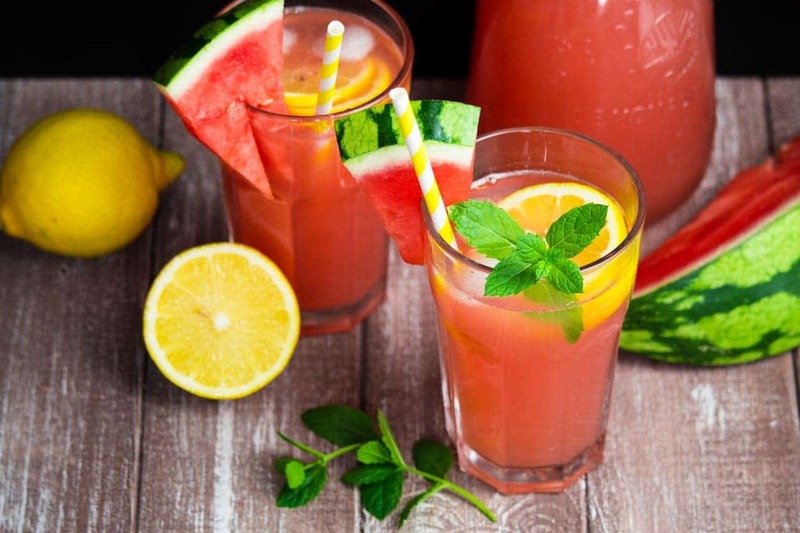 This super refreshing pink watermelon lemonade is perfect for hot summer days! It's ready in no time and soo good! You really should give it a try! Cut the watermelon in large chunks and put them into a food processor. Blend until smooth. Strain through a fine meshed sieve. Juice the lemons and the lime. Add the juice, water, and agave to the pureed watermelon. Blend again for a couple of seconds. Serve in a large pitcher together with lots of ice and garnish with lemon slices and mint leaves. I totally agree with you, Sina, homemade lemonade is always better! This sounds so refreshing – perfect for a hot summer day! I totally agree with you! Homemade lemonade is so much better than store-bought one. :-) I can’t wait to use different fruits and make more variations. Home-made lemonades are so much more delicious and refreshing than store bought lemonades! I love the tanginess of the lemonades and they are so fun to make! Thank you for this recipe! I love that you added watermelon! 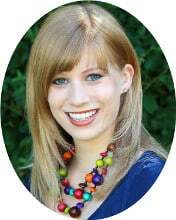 You’re welcome, Lucie! So glad that you like it. :-) I totally agree with you! How refreshing, I love watermelon in all forms!! Yes, yes, yes – homemade lemonade is soo much better! 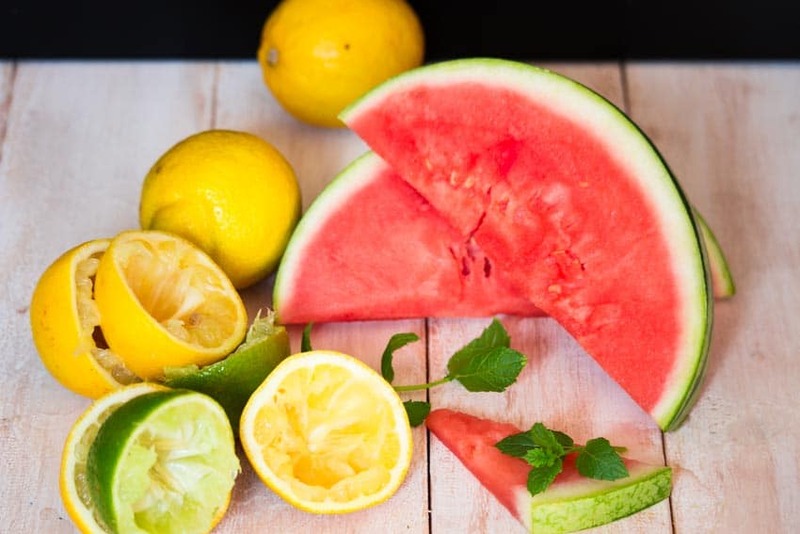 Watermelon is an awesome fruit to make lemonade with because it blends so easily… oh and it’s super yummy – so perfect summer treat! I totally agree with you, Bianca!! :-) Can’t wait to try more variations. Homemade is sooo much better and healthier! I love lemonade so much and I love that you added the watermelon and mint…oh gosh that sounds incredible and the color is so pretty! Thanks, Brandi! :-) I totally agree with you. Homemade lemonade is just awesome! I still can’t believe that it took me this long to finally give it a try! Yes, nothing can beat a homemade lemonade, Sina! I love watermelon lemonade, an addition of mint sounds so good. And that color is so vibrant. Loved this refreshing drink! Thanks, Anu! 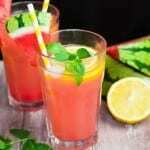 :-) Yes, watermelon is so great in lemonade, but I can’t wait to try more variations with different fruits! Thanks, Michaell! :-) I totally agree with you; it’s definitely not the same! And homemade lemonade is so much healthier. I really need to get some more watermelons and make more lemonade, it’s getting sooo hot again. This summer is just crazy! I recently made blueberry lemonade for the first time and you are so right. Homemade it way better! I love watermelon so this looks great! Oh wow, blueberry lemonade sounds great, Melissa! :-) I really gotta try this! This summer is so incredibly hot, so I can’t get enough of lemonade.